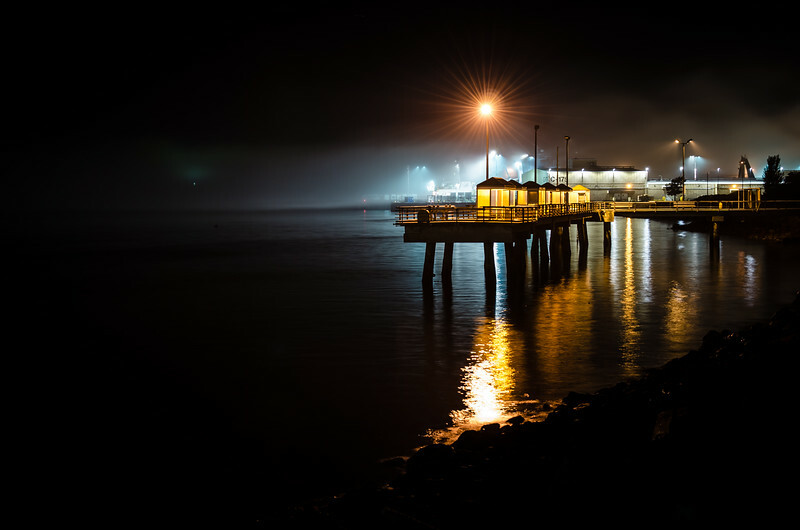 My favorite night photography images. These will be a mixture of star photography, night street photography, cityscapes at night and other interesting places where the cameras come out after dark. 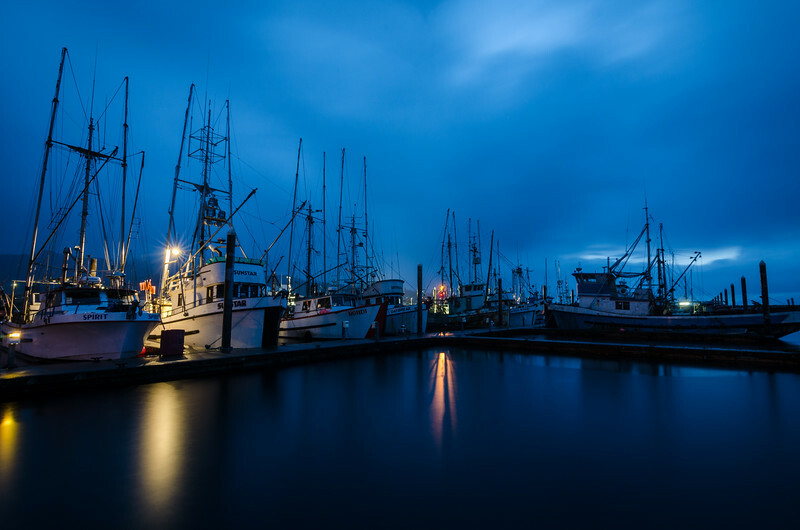 Makah Indian fishing boats are completely motionless during this blue hour, 30 second time exposure as a light rain falls on Neah Bay, Washington. I'm using an umbrella to keep me and my camera dry. The rain on the water creates a silky texture in the time exposure. No filters in making the shot and minimal edits afterwards. That's how I like it. 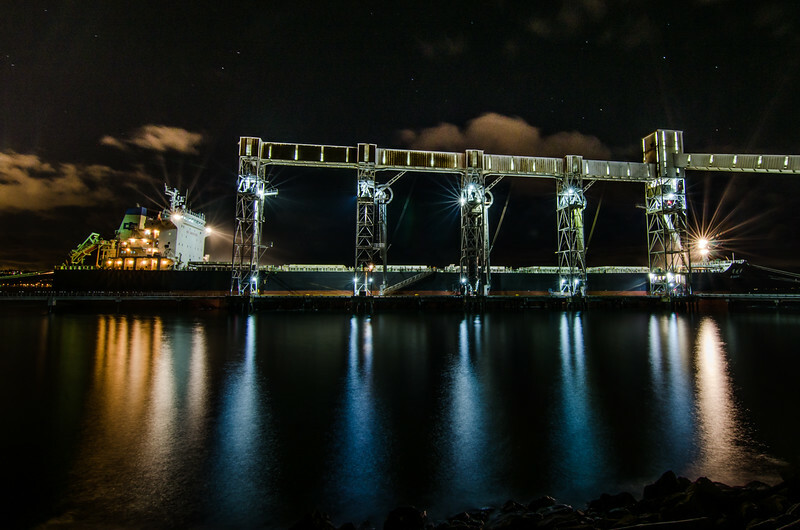 Long exposures with digital cameras and post-processing software make pictures like this possible. With the naked eye it is obvious that one is looking at the Milky Way. There is a denser line of stars and a faint cloudiness along that line. The camera sensor sees the same thing as my eyes (in a manner of speaking) but as the shutter stays open longer, the strength of the light signal on the sensor accumulates and small points of light that our eyes cannot see are now recorded by the sensor electronics. Finally, with software like Adobe's Lightroom, I can increase the whites, decrease contrast, which shows even more points of light, and also remove the traces of yellow light pollution from cities far in the distance. Then, last of all, because I have increased the gain of the electronic sensor to capture this light, I have to use the software to reduce the noise that is added to the image by the gain. 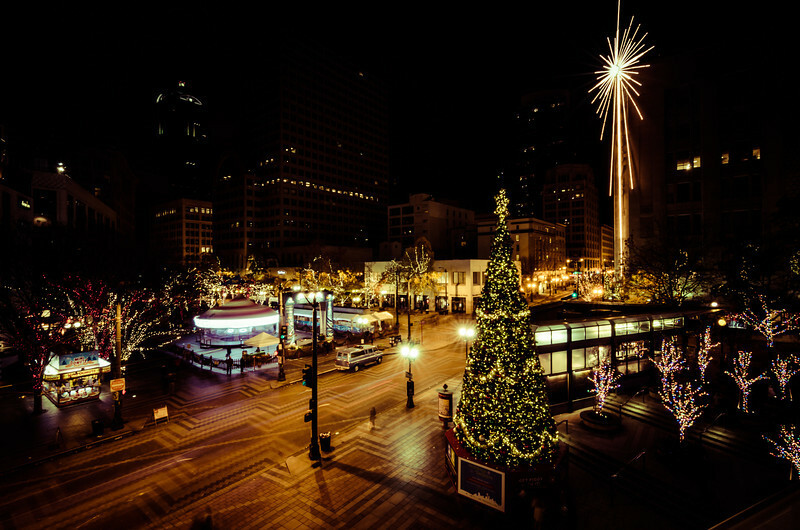 The outdoor balcony of the Westlake Center provides a nice vantage point for a wide angle shot of Westlake Park with its Christmas lights. The Macy's star is on the right, a popular, hot chocolate and mini-donuts stand on the far left, the merri-go-round to the right of the donut stand, the Christmas tree in the foreground. The dark of the night seems to be held back by the festive lights below. The time exposure with ND filter helped to ghost out most of the people in the street below. This is shot from the ridge above the Sunrise visitor center on Mount Rainier. The stars were beautiful. 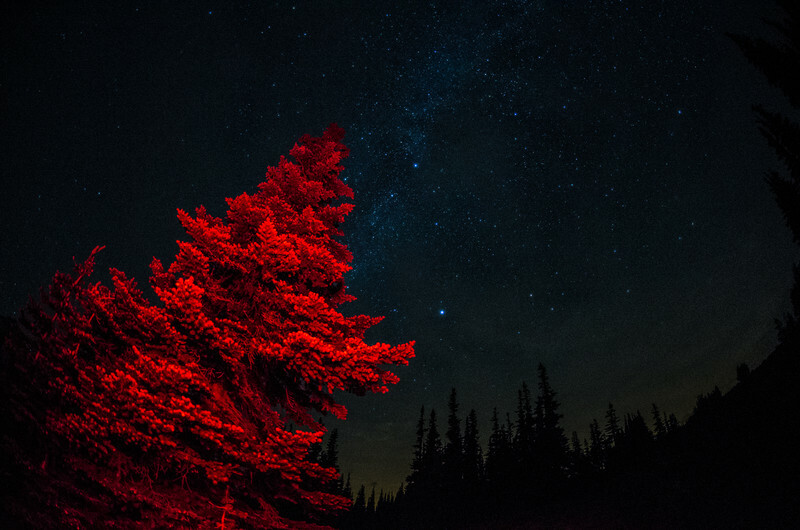 This red tree seems rather strange, but this is not an edit in Photoshop! I used a small headlamp that has a tiny red lamp on it and "painted" the tree with red light while taking the time exposure. I love how it turned out! 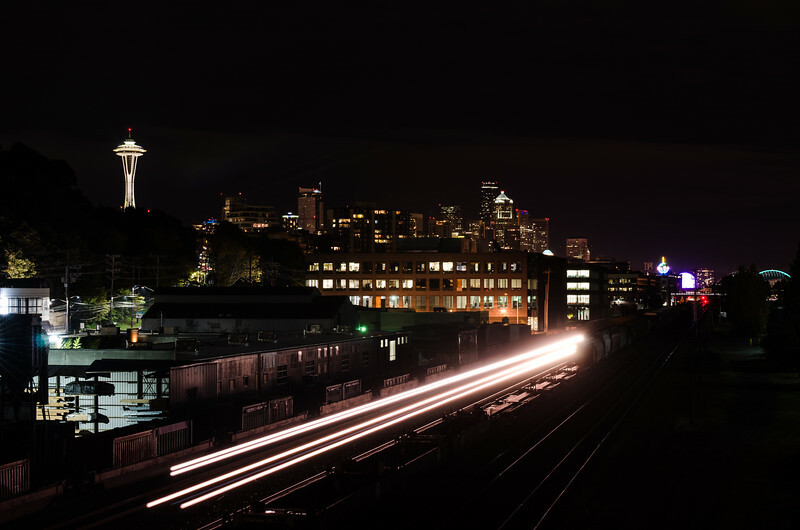 The light of a single airplane flying over Seattle becomes a long, meteor-like streak in this 25 second time exposure. 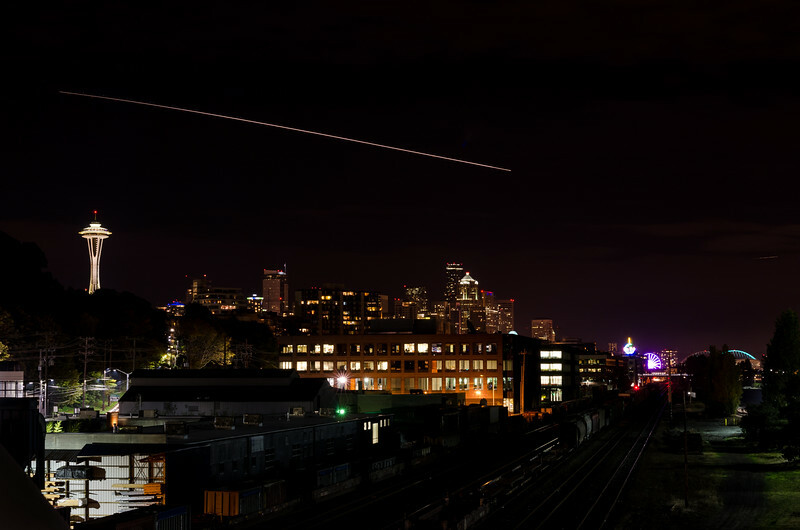 The Space Needle stands out on the left and the lights of the industrial buildings along Elliott Avenue fill in the foreground. Far in the back right the globe of the Seattle PI and a hint of the Big Wheel provide some catchy color to this image. Perhaps looking a bit like a Back to the Future episode, in reality it is just a rather slow moving train passing by underneath the Amgen pedestrian bridge. In this time exposure it seems just a bit more dramatic. 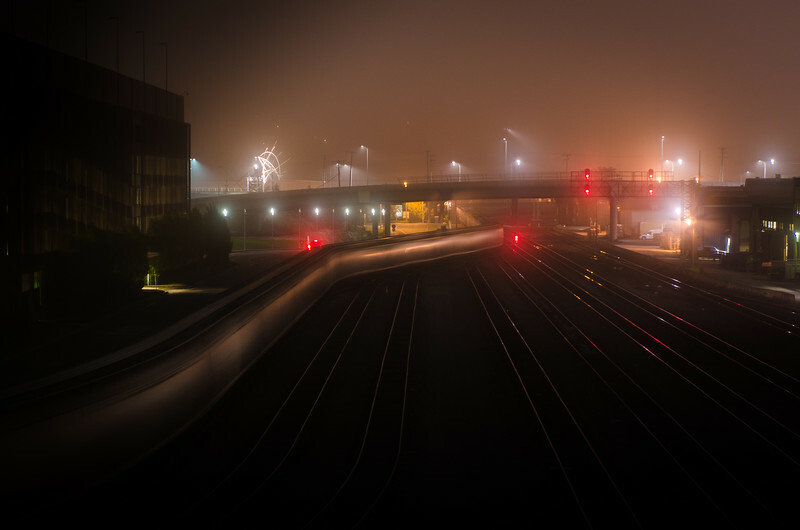 In this time exposure a slow moving train on the left turns into a ghostly, slithery shape that dimly reflects the foggy mood of the lights ahead. This is what happens when a bunch of friends go out and spend the whole night shooting stars... as the hours pass they start make up creative things to do to pass the time. Here my friend Rush drives his Jeep slowly by while the rest of us set up to catch the light trails against the starry sky. 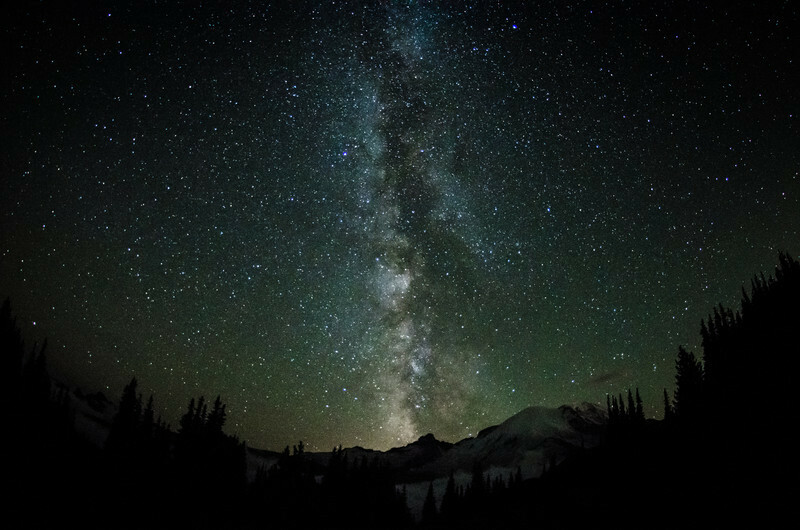 That thicker band of stars is the Milky Way. Rush's lights look like a rocket passing through--on its way to the stars! 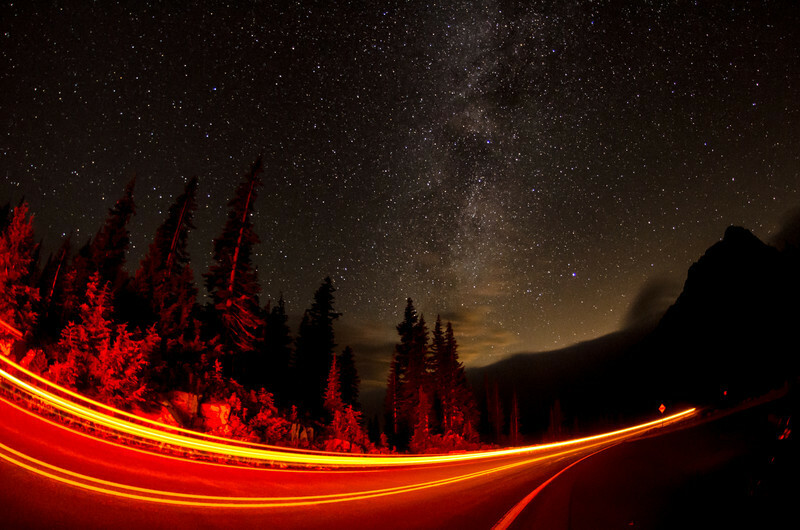 :) This picutre was shot on the side of Tipsoo Lake. 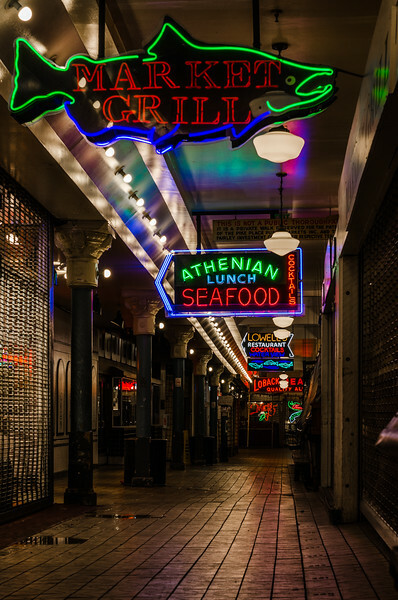 The Pike Place Market hallway is usually very crowded and filled with tourists and shoppers alike enjoying the colorful, fresh, and local fare. 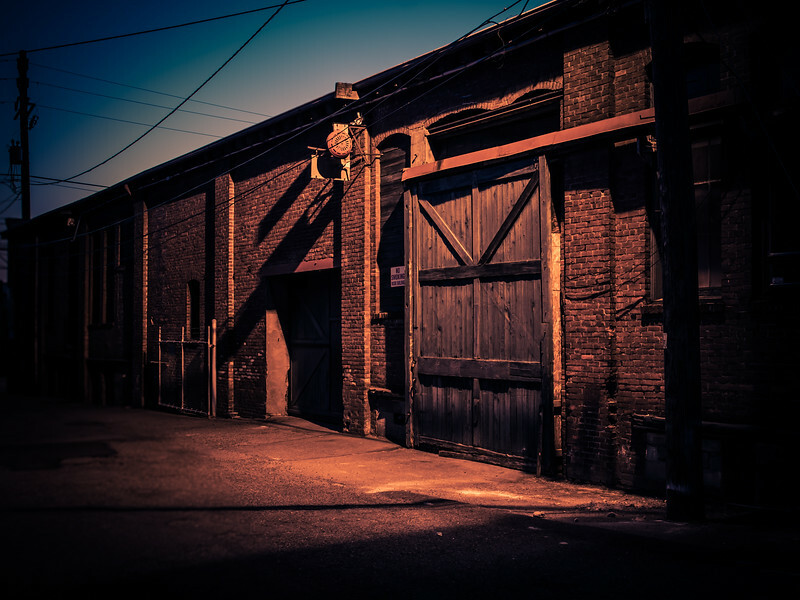 For me it is just as much fun to come after closing, step over the wires that say "no trespassing" and follow after the cleaning crews to take pictures of empty, dimly lit hallways colored with always-on neon signs.